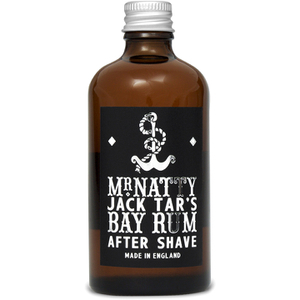 Calm just-shaven skin with the Jack Tar Bay Rum Aftershave from Mr Natty. 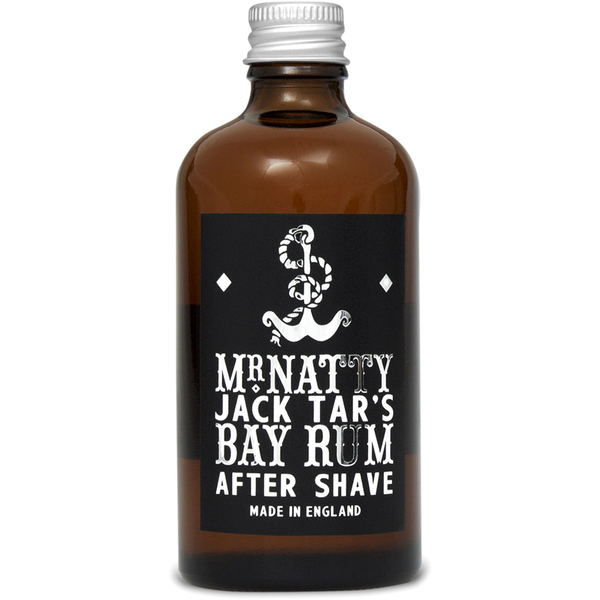 A blend of Bay Leaves and Rum work together to nourish and hydrate, whilst delivering a distinctive masculine fragrance that stays on skin for hours. Its versatile, alcohol-based formula can be applied throughout hair as a replenishing, restorative treatment, or to refresh the scalp by eliminating pollution and impurities. Add a few drops to ironing water to give shirts a subtle scent. Splash a little on after a shave, or as a little pick me up before a night out.